Previous postTreasure or . . . ? Darn it all! I’m still getting the hang of this (or, apparently, not). 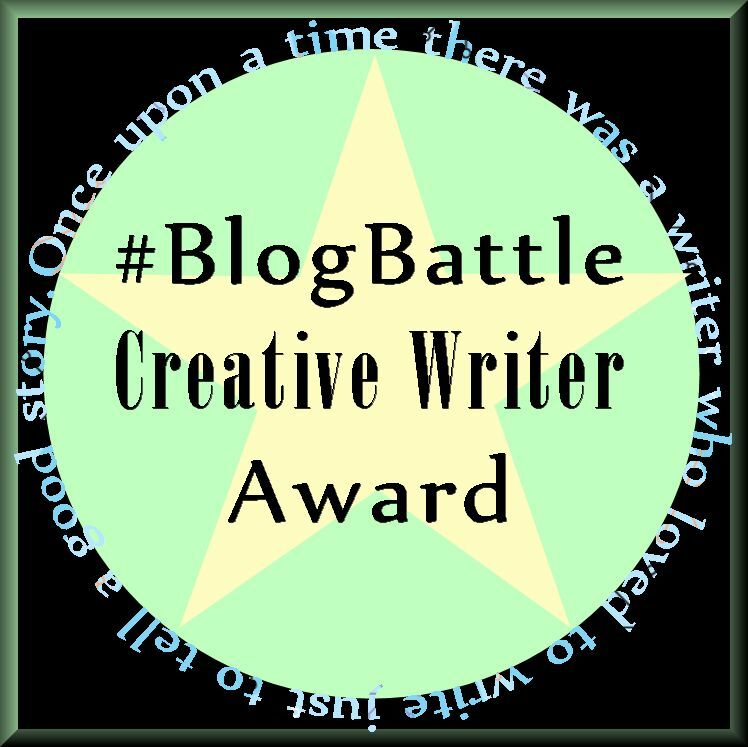 Do I link to THIS page (the weekly battle with prompt) or the main #blogbattle page in my post? I see mine is up. Thank you. 🙂 But should I have a pingback on the weekly page? LOL it doesn’t really matter which you link to. Sometimes you’ll get your story up before I post the entries and voting post. I guess it really depends on where you want to direct people when they click the link. 🙂 bwahahahaha peas. Haha! Barely made it (if math in public is right). I’m always curious where everyone is from as we battle together. Obviously, I’m Pacific Time in WA. Does that put you across the Atlantic if you are working backward or the Eastern time zone? A lot of our battling friends are in UK and a few are spread to exotic locales. I’m only a little jealous. 😉 I’m blessed with where I live. I live upon a mesa in the middle of New Mexico, with 24 dogs. The world tends to leave me alone. I’m picturing it, Andrew and I love it! I lived in Phoenix for a while. I never really got to hang out on a mesa, though…just the big hole that is Phoenix. I love Joshua trees, though. Do you have those on your mesa? How do you dogs like it? I’m afraid that the only Joshua Tree here appears when I play the U2 CD of that name…the landscape is full to the eyeballs with sage. The dogs like it well enough, but most are inside. They were almost all badly traumatized, and they love their safe, secure nooks and crannies in the house. A couple live outside; the prefer it that way, and are not comfortable inside, surrounded by their smaller but more numerous brethren. I like it here. It is about as far from the jungle as you can get, and I had my fill of humidity and leeches and malaria and dengue fever. But no one ever warned me of the Hostile Hummingbirds. I’ve been stabbed in the neck three times, by their sharp little beaks. well, that’s okay. I still can’t decide what it is about Joshua trees that intrigues me so much. 🙂 The dogs just make me want to melt into a puddle and love on them all. ❤ I love that you have them and they have you. You're so right about the difference in climate. I've never experienced any of those things, but I know I don't want to, either. When I was younger I wanted to be able to go to a shelter and say – I’ll take them all. Feels like it now; everyone has his or her own personality, and their efforts to be as undemanding as possible, because of my illness, are truly something to see. I love them all, with a full heart. Eeks! I know I stay up that late, but you should be in bed! haha To legumes! Well, it was a challenge…but here’s The Dude. Oh, heck, forgot the genre. Inspirational. Legummme~ 🙂 toughest, unusual word yet! I scheduled mine to post early morning; I hope it worked. I do believe I saw the pingback. As soon as I’m at a computer I’m going to be one busy gal! 🙂 I curious what Madnes will do with legumes! Haha something random probably. 🙂 I’m still away, btw, in case you’re wondering why I’ve been silent as a mouse 🙂 but I will catch up on stuff soon! It was the hardest one yet!